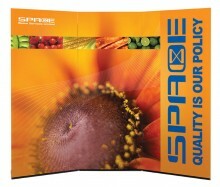 Trade shows are a big part of how many industries do business. 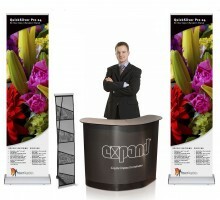 Conferences and trade shows give exhibitors a chance to show off their products and services to an audience that is actively looking for suppliers. 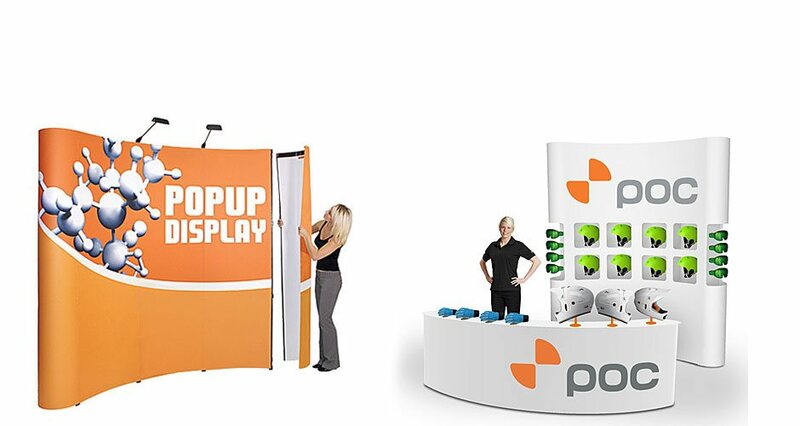 This makes it especially important to have a trade show booth set up that will attract the attention of the audience, look professional, support the message you are trying to convey, and leave a positive impression. 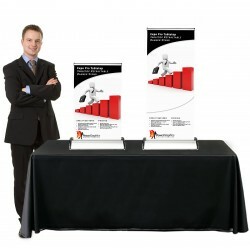 Trade Show Display Pros is here to help you accomplish this goal regardless of the size of the booth space, the size of the show, or your budget. 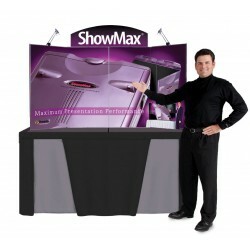 Because every industry and show is differerent, the type of display that's appropriate for each show can be different as well. 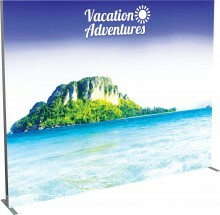 Some shows are small and a simple banner stand or table top display and custom table cover would be enough to steal the spotlight from the other exhibitors. 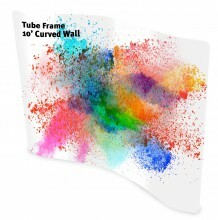 In some cases, a traditional pop up display or one of the many varieties of tension fabric displays would make the perfect back wall that stands out and gets noticed. 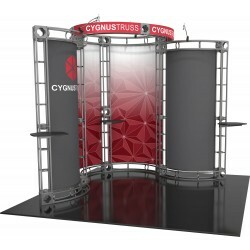 At larger events, more elaborate trade show displays that fill a 20' island with room for demonstrations, meetings and presentations are needed. 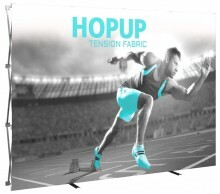 Regardless of the size of the trade show or the type of event, we have the displays to fit each space and budget with fast turnaround times and superior printing quality to make sure you get noticed for the right reasons. 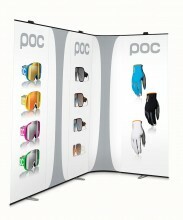 We offer a huge selection of displays to ensure that you can find exactly what you need to make your show a success. 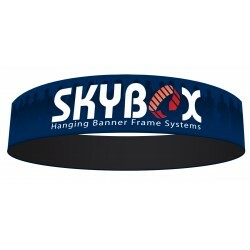 If you don't find the specific display you're looking for, contact us because we're constantly adding new products and we may already have what you need. 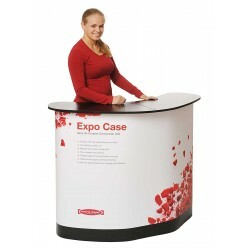 Our site is organized by types of displays, and as you'd expect, the Trade Show Displays category is the largest. 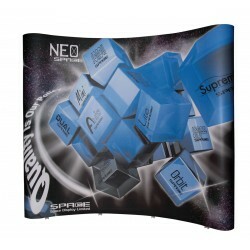 This category includes our incredible selection of banner stands, which is one of the most popular trade show displays ever created. 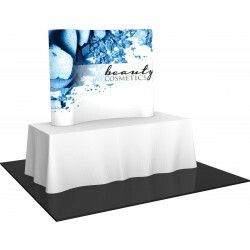 Banner stands are versatile enough to be seen in every trade show booth from the smallest shows the largest exhibits, and we have the selection of brands, sizes and styles to make sure that any need can be met. 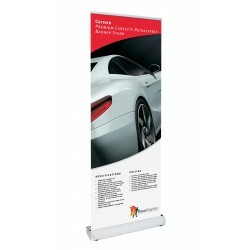 While retractable banner stands are still the most popular, we also have a large selection of portable banner stands and X banner stands for those who want a simpler display without moving parts. 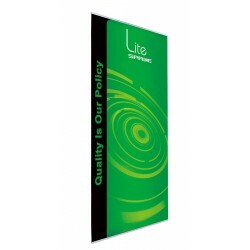 Banner walls, which are either very large banner stands with a single banner, or more often, a collection of individual banner stands used together, are also very popular and found in the Trade Show Displays category. 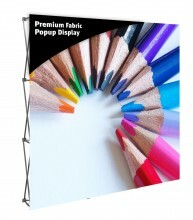 You'll also find traditional pop up displays in a wide variety of configurations, tension fabric displays for back walls and more with a big selection of styles, sizes and shapes to choose from. 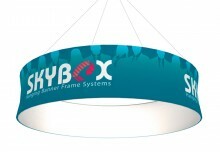 Those looking for more elaborate exhibit truss displays will find them in this category as well. 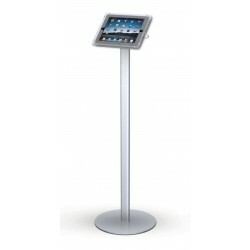 Counters and kiosks, iPad stands and hanging fabric structures can also be found in this section. 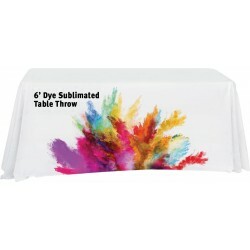 There is a separate category for Table Top Displays, and while many are smaller versions of the banner stands, pop up displays, folding panel displays, and tension fabric displays, there are also table top displays that are unique to this category. 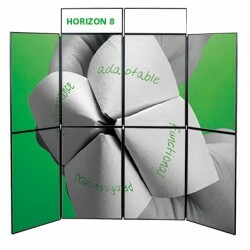 Self-packing displays are special types of table top displays that folds down to form their own travel case. 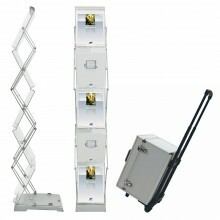 Smaller models are referred to as briefcase displays because of their compact size that look like a briefcase when folded. 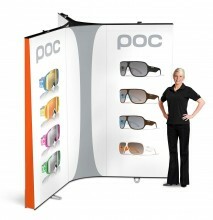 They are very popular with customers who travel and do presentations as they are compact and very easy to set up. 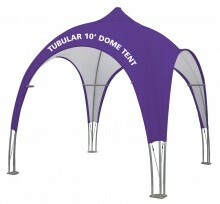 For those customers who attend outdoor trade shows and events, we have a special Outdoor Displays category with a selection of outdoor banner stands, pop up a-frame banners, portable flag stands, and canopy tents. 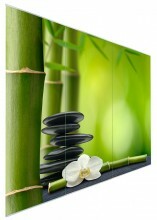 While all of these displays can be used indoors as well, they are models specifically designed for outdoor use so a professional image can be presented regardless of the location. Customer service is more than just fielding phone calls and taking orders. 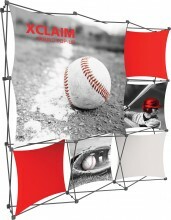 We work hard to make sure we provide as much information as possible for every product we carry, along with the best photography we can get to help customers make an informed decision about the best display for their needs. 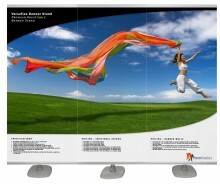 Set up instructions, graphic templates and, where available, video set up instructions are provided for each product. 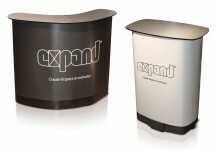 We maintain a large inventory of materials and displays so we can offer fast turnaround to meet tough deadlines, and try we to maintain the right products for different needs so we can help as many customers as possible. 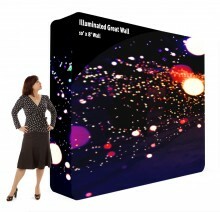 We also have employees who actually care about how each job turns out and we always want to be sure we're shipping displays to our customers that we can be proud of. 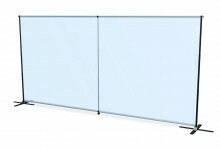 While we like to offer almost any product that we think can benefit the customer, we try to choose products that are readily available if we don't stock them in house, so that most of these displays are available for shipment the same or next day. 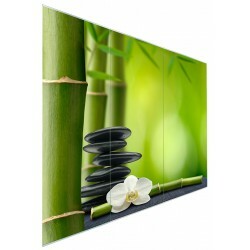 Some displays are built to order and require a few days to ship, but we've created a website that will estimate the delivery date for any product ordered based on these factors and the shipping method selected. 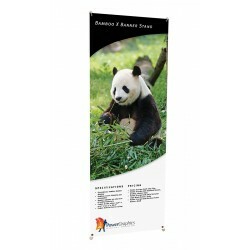 This allows our customers to know in advance when to expect the delivery of any display, and there's even a field to provide a due date that will automatically calculate the cheapest options to meet that date. Our constant focus on quality sets us apart from the competition and provides peace of mind to our customers, and also makes good business sense as it helps build loyalty and makes for repeat customers. Of course, we also provide helpful and knowledgable assistance by phone, e-mail or live chat for customers who need some help in navigating our many products and services, and our employees don't work on commission or receive incentives from any manufacturers, so we can always provide honest, unbiased information. 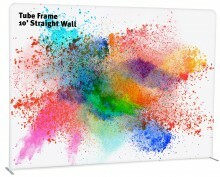 We offer printed samples of most all of our printing materials for customers who need to see and feel the products before ordering. Perhaps the most important aspect of our customer service is that we strive to offer expertise and professionalism. We hear and experience every day the frustration of dealing with companies that don't do their jobs properly. Unlike so many companies these days, we actually know our products, and if there is something we don't know, we will find the answers. If a problem occurs, we work to solve it quickly and fairly, and if the problem involves a product from one of our suppliers, we work with them on the customer's behalf to resolve it. 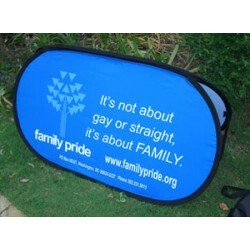 Most importantly, we do our job to make sure that orders are completed properly and on time. It's not the customers job to make sure we ship the correct product to the correct address on time. This sounds so basic as not to be worth mentioning, but it's become less common in our experience, and we feel this is most basic aspect of customer service.